Step off the beaten path and head to Linden Esplanade and Bellevue Beach. 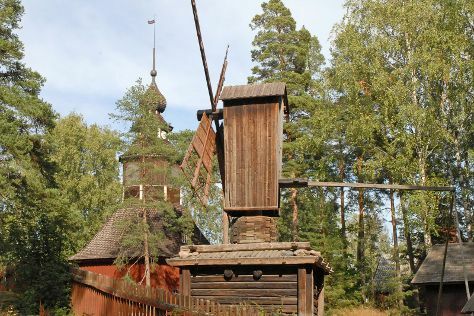 Seurasaari Island and Open-Air Museum and Katajanokka are good opportunities to explore the local culture. Explore the numerous day-trip ideas around Helsinki: Niivermaki Nature Conservation Area (in Kouvola), Hirsala Golf (in Kirkkonummi) and Sipoonkorven Kansallispuisto (in Vantaa). The adventure continues: look for all kinds of wild species at Arboretum Mustila, hike along Tulliniemi Nature Path, take in the dramatic natural features at Hiidenvuori, and sample the tasty concoctions at Mathildedalin Kylapanimo. To find photos, traveler tips, more things to do, and tourist information, read our Helsinki trip planner . If you are flying in from Malaysia, the closest major airport is Helsinki Vantaa Airport. In June, daily temperatures in Helsinki can reach 21°C, while at night they dip to 11°C. Wrap up your sightseeing on the 11th (Tue) early enough to travel back home.